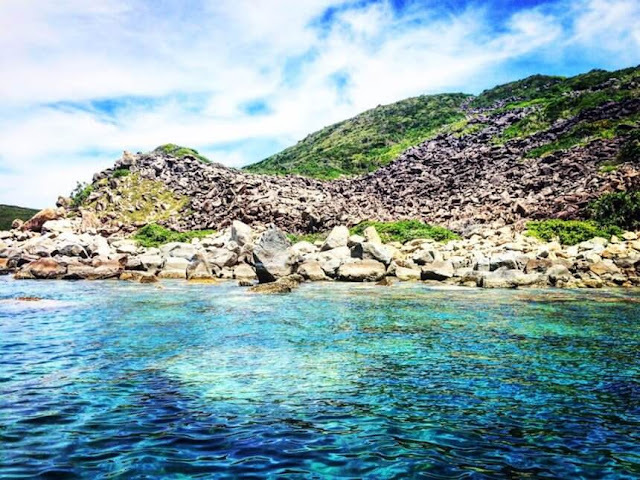 This is not the first time I came to Nha Trang, but this experience brings a great inspiration, the scuba diving experience at Hon Mun Marine Reserve. 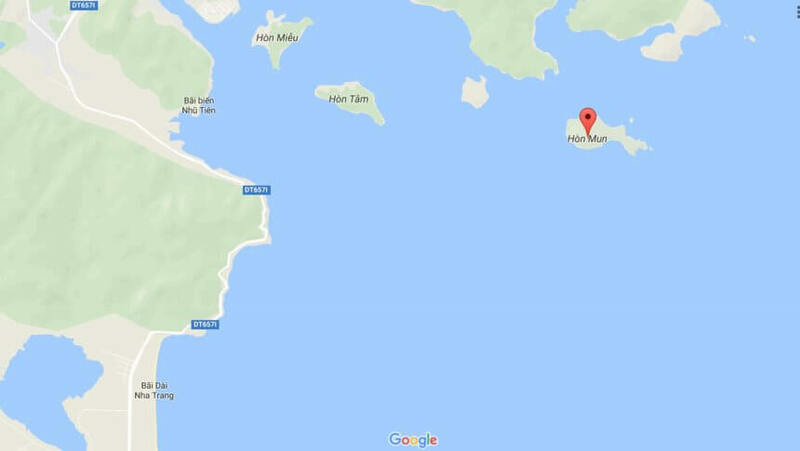 Located about 6.5 nautical miles (12 km) offshore, Hon Mun is the only marine protected area in Vietnam designated by the World Wildlife Fund (WWF) as the first marine biodiversity site in Vietnam. Vietnam, with more than 350 species of rare coral discovered. Especially, this place has a mixture of hot and cold currents, so there are many rare species of ornamental fish, many scientists in and outside the country come to study and learn. After days of exploring the sea city with so many activities, we still feel incomplete. Having spent nearly a night thinking, discussing, we dare to challenge ourselves with the experience of scuba diving. It takes so much time as this is a very new challenge and beyond the limits of myself, a person who has never known how to swim. Having been reassured and consulted with the guidance of a brother I met before, the spirit of the group was more comfortable, and sometimes eagerly anticipated the new day so fast. 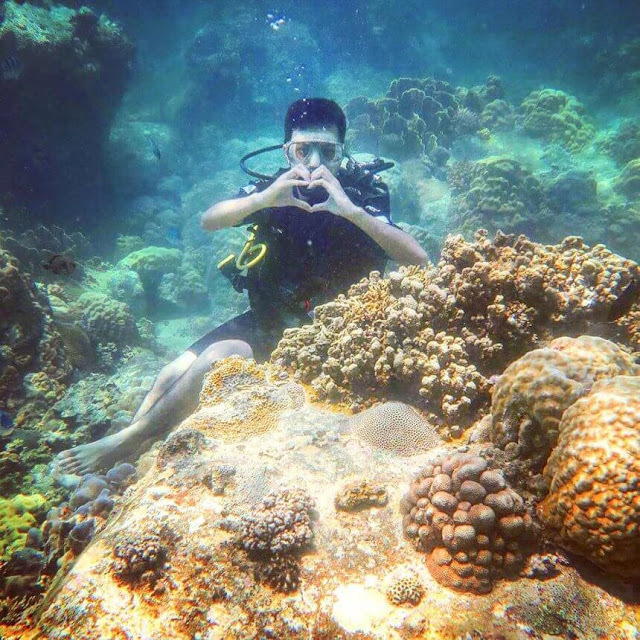 This experience is great and even if you do not know how to swim, do not worry too much, as you will always have a follower who directs your breathing every time under the ocean. They will always accompany you until you return safely to the ship. Unlike snorkeling, which is just around the water or just a few meters deep, you have to bounce up to get some oxygen. In this scuba diving experience, you are equipped with a protective suit, an aerosol and a depth of 8 feet. -10 m to have a close-up view of beautiful coral reefs of glittering colors, watching the flocks of swimmers swam right next to you - which is only in the dream. If you are in good health and have experience, you will dive deeper and shine the light into the deep caves. 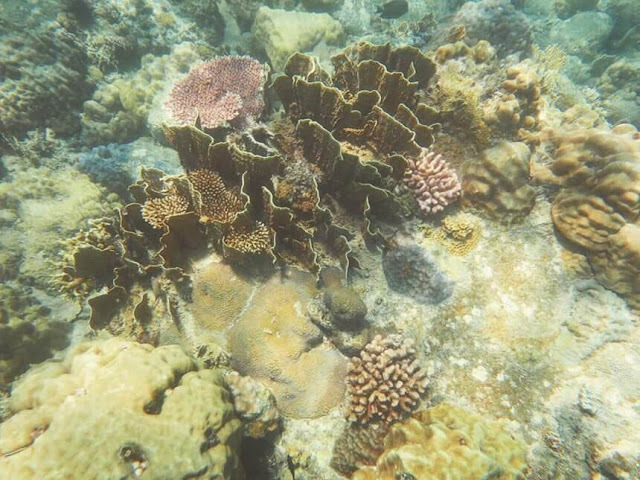 But first, look at the shimmering coral reefs. Not many people know that they are sensitive to changes in the natural environment, the more vulnerable they are to impacts from people. Feel the natural masterpieces bestowed upon our country with hearts and minds, to know how lucky we are. 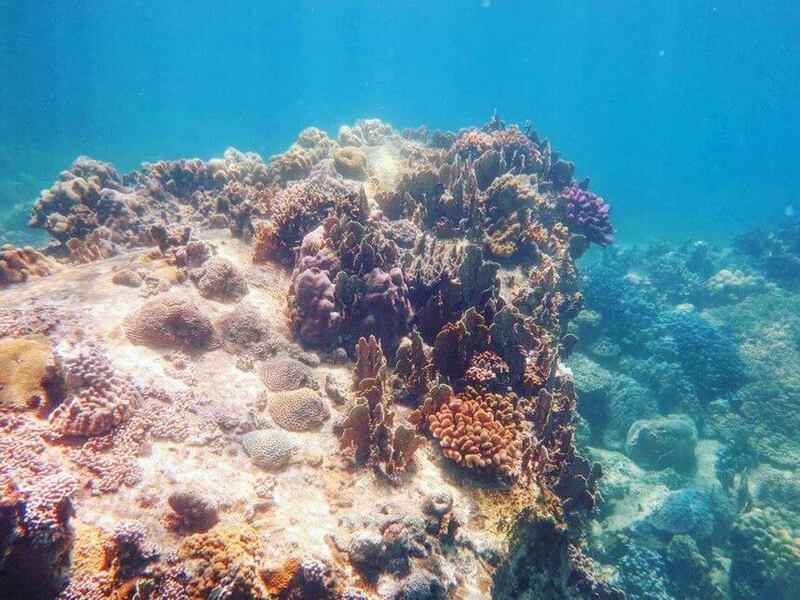 Being close to their development and natural activity, we do not touch the coral reefs in the ocean, because they are very sensitive and vulnerable. During this experience, I witnessed a foreigner who was crushed by a coral into his leg, not injured by the instructions of his companion. When he got to the shore, he was very hurt despite the wound being bandaged carefully. 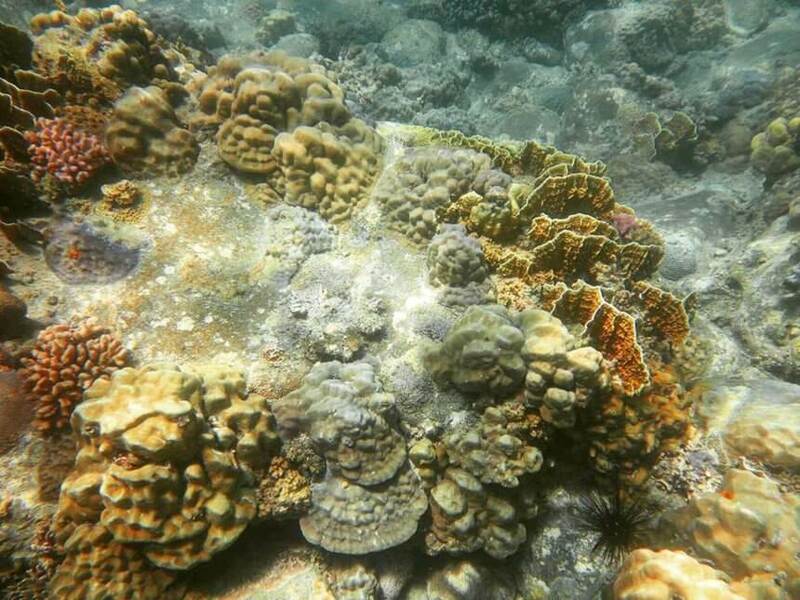 Each year, in favorable environmental conditions, coral can grow only 1-2 cm. Therefore, to maintain the most diverse ecosystem in the world in Hon Mun is a very difficult process in combining the conditions of tourism development today. Some people because of greed and selfishness have inadvertently harmed their life and development is regrettable. The action and consciousness of preserving the environment will help preserve the beautiful landscape, for later generations are seen in our own country and not far away. And to be complete, such a diving trip will often be combined with the journey to explore the beautiful scenery around, and enjoy the extremely comfortable moment when meeting new friends on the train, taking part in group activities, having an intimate meal and singing, dancing and using floating wine at the beach made me forget the moments of everyday life. Thanks for sharing this article. It is very nice.